Looking for a clever, cost-effective way to spruce up its schedule just in time for spring cleaning, the Hallmark Channel will sweep away the clutter of the venerable home improvement-hectoring program The Martha Stewart Show, perhaps replacing it with a lovely centerpiece made from dried, crushed poinsettia leaves. Hallmark’s decision leaves Stewart without a talk show to call her own for the first time since 1993—give or take a federal sentence for criminal conspiracy and corporate fraud—although the New York Post reports that after a planned “lavish Oprah-style send-off” for the show, she will continue to work with the network under the ominous auspice of her Martha Stewart Living Omnimedia banner, developing a potential new daytime series, as well as just hanging around the office and offering passive-aggressive criticism of employee dress and demeanor. 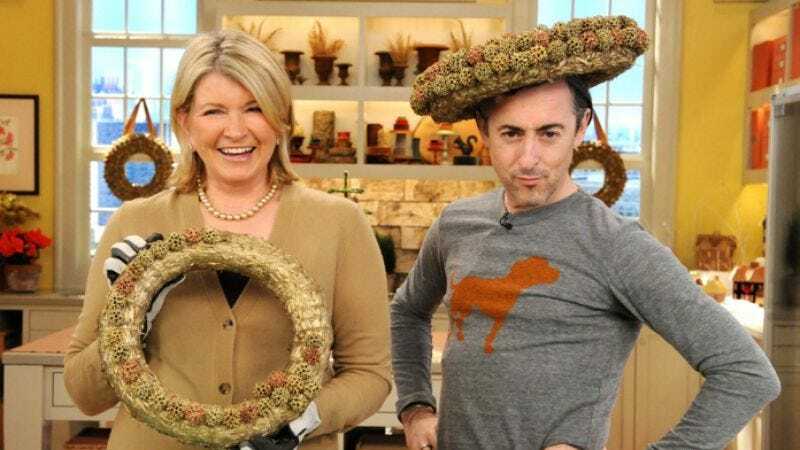 Of course, any new Martha Stewart show would have to be a much cheaper affair than her current flagship show, which has been deemed far too expensive to justify given that only around 200,000 people watch it. Stewart is no doubt already exploring how to make your very own television cameras from recycled soda bottles and store-brand pasta.